 This event took place on November 27, 2014 at the Irving K. Barber Learning Centre. An afternoon event with Terry Watada and Jim Wong-Chu, two pioneers of Asian Canadian writing, and moderated by Dr. Glenn Deer, Professor, English Department UBC, this fireside chat encompassed a wide range of topics, including the speakers’ memories of the early days of the Asian Canadian cultural studies movement. 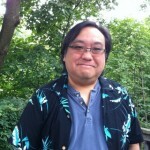 Terry Watada is a Toronto writer with many titles to his credit. His publications include The Sword, the Medal and the Rosary (a manga, HpF Press and the NAJC), The TBC: the Toronto Buddhist Church, 1995 – 2010, (non-fiction, HpF Press & the Toronto Buddhist Church 2010), Kuroshio: The Blood of Foxes, (novel, Arsenal Pulp Press 2007), Obon: the Festival of the Dead (poetry, Thistledown Press 2006), Ten Thousand Views of Rain (poetry, Thistledown Press 2001),Seeing the Invisible (a children’s biography, Umbrella Press 1998), Daruma Days (short fiction, Ronsdale Press 1997), Bukkyo Tozen: a History of Buddhism in Canada (non-fiction, HpF Press & the Toronto Buddhist Church 1996) and A Thousand Homes (poetry, Mercury Press 1995). As a playwright, Watada has seen seven of his plays achieve mainstage production; his best known is perhaps Vincent, a play about a Toronto family dealing with a schizophrenic son. Workman Arts of Toronto has remounted it several times since its premiere in 1993. Most notably, it was produced at the National Arts Centre in Ottawa and the first and second Madness and Arts World Festival in Toronto and Muenster, Germany, respectively. His essays have been published in such varied journals and books as Maclean’s Magazine (March 2011), Canadian Literature (UBC), Ritsumeikan Hogaku “Kotoba to sonohirogari” (Ritsumeikan University Press, Kyoto Jpn), Crossing the Ocean: Japanese American Culture from Past to Present, Jimbun-shoin Press (Kyoto Jpn), and Anti-Asian Violence in North America (AltaMira Press, California). He wrote a monthly column in the Japanese-Canadian national journal the Nikkei Voice for 25 years. He now contributes a monthly column for the Vancouver JCCA Bulletin which expanded its scope to a national level in 2012. Among his numerous citations and awards, he was presented with the Queen’s Diamond Jubilee Medal and the NAJC National Merit Award recognizing his writing, his music and his community volunteerism in 2013. His archives which include records, tapes, and significant artifacts of the Asian North American experience have been collected as the Terry Watada Special Collection and housed in the East Asian Library and his manuscripts (drafts and final), personal papers and books have been housed in the Thomas Fisher Rare Book Library, Robarts Library, University of Toronto. He is awaiting the publication of his fourth collection of poetry – The Game of 100 Ghosts (TSAR Publications, Fall 2014) – and his second manga, Light at a Window (Toronto NAJC and HpF Press, Fall 2014). Jim Wong Chu was born in Hong Kong in 1949, and came to Canada in 1953 settling in Vancouver in 1961. Witness to and participant in much of the Chinese Canadian activism in the 1970s and early 80s, Jim became one of its documenters. After completing a degree in Creative Writing at UBC in the 1980s Jim published Chinatown Ghosts (Arsenal Pulp Press, 1986), the first book of poetry published by an Asian Canadian. 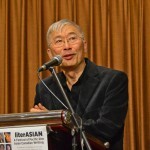 As a persistent activist and cultural producer Jim co-founded the Asian Canadian Writers Workshop, Ricepaper Magazine, Pender Guy Radio, the Asian Canadian Performing Arts Resource (ACPAR), literASIAN: A Festival of Pacific Rim Asian Canadian Writing and the Vancouver Asian Heritage Month Festival. With the sheer girth of his activity Jim has been instrumental in creating a cultural scene inclusive of Asian Canadian talent. Wong-Chu is among the first authors of Asian descent with the likes of SKY Lee and Paul Yee who challenged the Canadian literary establishment and questioned why it was devoid of any Asian writers. His book Chinatown Ghosts (Arsenal Pulp Press, 1986) was one of the first books of poetry by an Asian Canadian writer. Wong-Chu later contributed to Inalienable Rice and co-edited Many Mouthed Birds, two of the earliest anthologies of Asian Canadian writing. In 1993 Deer’s interests in ideology critique and the rhetoric of racialization developed into research on rhetorical representations of Asian Canadian culture in the local media and a series of directed readings with graduate students, graduate seminars, and undergraduate courses in the areas of comparative Asian Canadian and Asian American studies. He received a Vice-President’s grant in 1997 to organize the conference “Diversity, Writing, and Social Critique.” In 1999 he was the guest editor for a special issue of Canadian Literature on Asian Canadian writing (Number 163, December 1999), and he has been an associate editor with the journal since the summer of 2000. From 1999 to 2002, he served as the Chair of the First-Year Program in English. Deer’s recent teaching and research interests include the politics of historiography in Michael Ondaatje, comparative studies of Asian American and Asian Canadian writing, mixed-race writing and trans-ethnic desire, the representations of food in trans-cultural writing, and the discourses of the nuclear. He has written an editorial for the Fall 2002 issue (number 172) of Canadian Literature on the aftermath of September 11: “Writing in the Shadow of the Bomb”. His current graduate seminar is an attempt to work through some of the features of modern thought and literature that arise in the context of such global crises.